Have you read any good Russian books lately? Or are you still having trouble getting through that hefty volume of Dostoevsky? That short story by Chekhov? Is Pelevin just not making any sense? 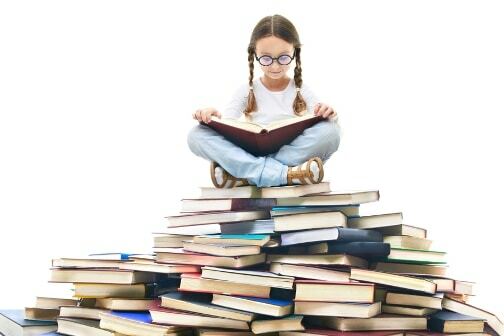 Do need help getting started with reading altogether? Maybe you’re reading the wrong books—what you might need right now is a good, solid Russian textbook. Whether you need help getting started or advancing beyond your current level, it’s time to consider getting yourself a Russian language textbook to help you with your learning! There are many available for all levels, interests and learning styles. In fact, there might actually be too many… which is how this guide will help you out. We’ll aid you in choosing the correct textbook for you, no matter what proficiency level you’re currently at! Why Learn with Russian Textbooks? 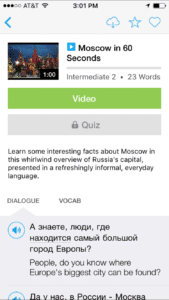 Have you been relying solely on online, audio or video materials to learn Russian? These materials are great for giving you a feel for Russian, letting you hear the rhythms, sense the emotions and listen to the sounds of the language. But there’s much more to learning Russian, and you don’t want to limit yourself! Such materials often don’t give you the opportunity to read or write in Russian, unless you create that opportunity yourself. It’s great that you’re listening to Russian and trying to internalize it, but you need to work actively with all language skills in order to become truly proficient in Russian, and learning some of these skills requires actual, physical textbooks. But, wait. Aren’t textbooks full of “artificial” language? Wouldn’t you be better off running around, recording native speakers, analyzing what they have to say and trying to gain a high level of proficiency that way? Nope, not necessarily! In fact, textbooks have plenty of unique material to offer learners. 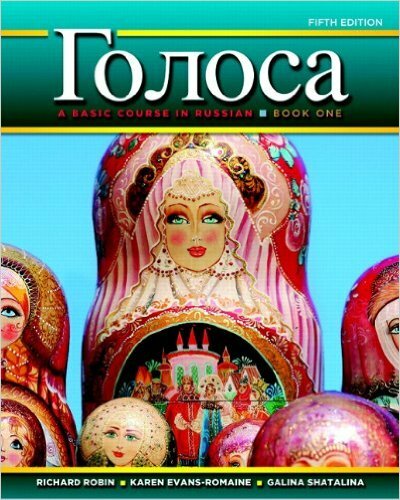 The creators of high-quality textbooks do a careful job of immersing you in authentic Russian, while providing the structure you need to absorb, reinforce and truly internalize lessons. The language and grammar in good textbooks is exactly what real native speakers use every day. Do they use it “correctly” all the time? Of course not; neither do you in your native language. Do they speak in slang? Do they have regional accents and dialects? Or course they do! But when you’re just starting out in the language, or looking to build foundations in more advanced language topics, you don’t necessarily want to try to imitate or study native speakers right off the bat. You can easily combine textbook learning with FluentU for increased authentic context, anyway. FluentU takes real-world videos—like movie trailers, music videos, news and inspiring talks—and turns them into personalized language lessons. A Plus plan can even work with your textbook by allowing you to create your own vocabulary lists and have customized quizzes built for you. You need to learn the standard version of Russian. This is the Russian that every native speaker will understand, so it’s the best place to start. Once you’ve reached that high, near-fluent level of proficiency toward which you’re striving, then you can play around with language variants. Until then, work on mastering the basics of the language and learning the grammar, rules and vocabulary that everyone knows. Russian textbooks are perfect for this! Do you have any structure to the way that you’re learning Russian, or are you just playing around with the language and hoping that something will stick? One big advantage textbooks have over other materials is that they provide a structured, systematic way of learning the language. 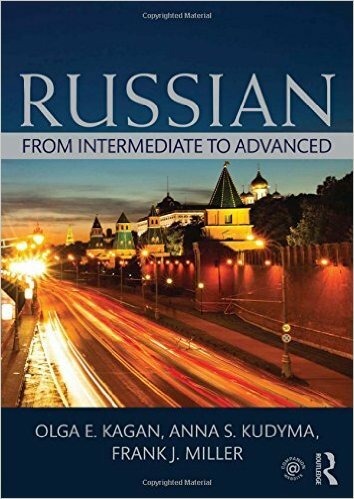 Key elements of the language, including grammar and vocabulary, are introduced in a logical fashion that builds up from the basics one step at a time, letting you, the learner, gain a systematic way of approaching Russian. 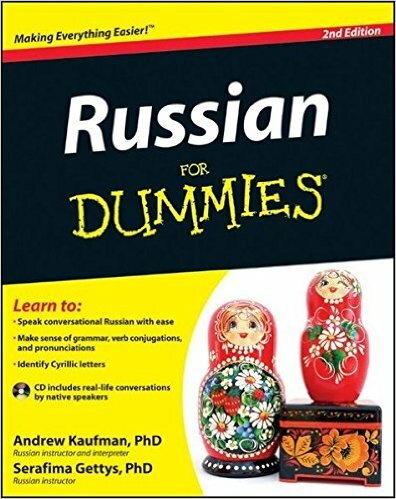 This is needed for you to grow as a Russian speaker. Now, you just have to find the right textbook for you and your linguistic level! The beginning level is key. Attaining good, clean grammar at this stage, through a carefully-structured curriculum, will aid in increasing your proficiency all the more quickly down the road. A lack of structure, on the other hand, will lead to poor grammatical knowledge and much struggle later on. These are some of the most accessible textbooks out there if you’re just starting out learning Russian. Here grammar often drives content, as it must at a beginning level. The title of this book pretty much gives you all the information you need to know about it. 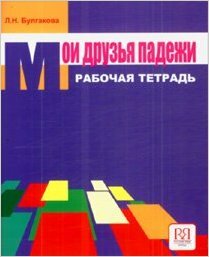 This is the most basic of beginner Russian textbooks. It’s so basic, in fact, that it doesn’t even teach the Cyrillic alphabet. 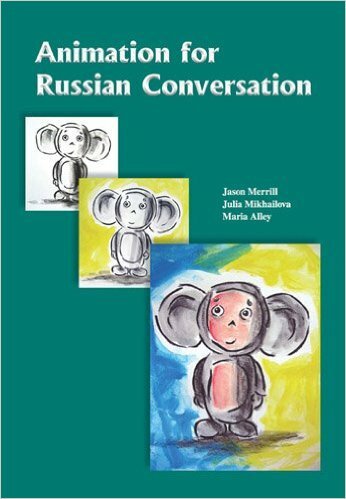 You can learn some essentials of Russian conversation with it at a leisurely pace, so if that’s all you’re wanting, it might be worth starting here. 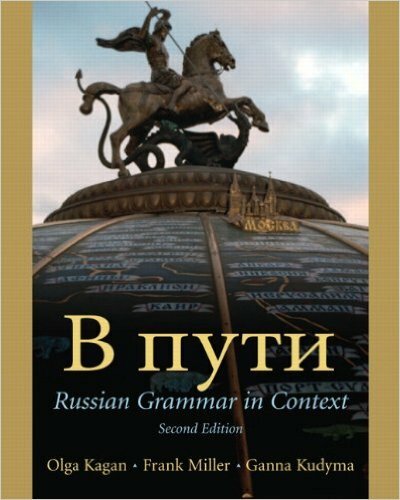 This one-volume textbook teaches you over 1500 vocabulary items, the Russian case and tense systems, as well as the Cyrillic alphabet. Along with each grammar lesson is a corresponding thematic lesson that’s designed to let you see the chapter’s grammar in action. 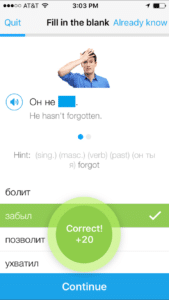 Exercises are provided, so you can both drill learned topics and create your own phrases and sentences in Russian. This textbook is one commonly used in college-level courses. As such it comes as a full package, including a textbook, workbook and audio-visual materials on CD/DVD. Designed to follow the lives of young Russians in Moscow, the continuing story will give you incentive to move from chapter to chapter. Grammar explanations are highly structural, so if you’re a linguist at heart, this might be the text for you. This is probably the most popular (and possibly the best) college textbook in use today. Much like other university-level language books, it comes with a workbook and accompanying audio-visual materials. Unlike others, however, these are kept on the publisher’s own site, with permission to download and use as you see fit; no code necessary. It follows the communicative approach to language learning, so language learning is done in context, and there’s a healthy combination of grammatical exercises and opportunities to speak, read and write. If you want the full package to learn Russian from the very beginning, this is the way to go! After you’ve mastered the material in a beginning-level Russian textbook, your options begin to expand. Your best option, though, is to continue with a structured text, while also bringing in some additional content to introduce new vocabulary and grammar. Both of these series’ beginner books have second volumes, which continue to introduce essential material in a similar fashion to how they did in their first volumes. If the first worked well for you, then simply continue on with the second for the full beginning-level learning experience. Let’s say you want to get beyond the textbook to authentic videos, but you’re worried that they’ll be too hard to be useful at this early level. This book allows you to engage with Russian cartoons in an approachable way. Russian animation is among the best in the world, regularly winning international awards, so what you’ll see will be top-notch. In addition, much of what you’ll hear is embedded in Russian culture from childhood on, so you’ll be learning important Russian culture lessons for connecting with native speakers. The exercises for each cartoon drill you on grammatical, lexical and thematic topics, and you can choose what you want to learn. While this can stand alone as a learning tool, it’s best used to supplement a more conventional Russian textbook. The intermediate level is where basic grammatical knowledge is reinforced and more advanced structures are introduced. This level is a mixed bag: grammar and content drive each other, as the goal of this level is to give you, the student, all the knowledge necessary for a successful time studying abroad. 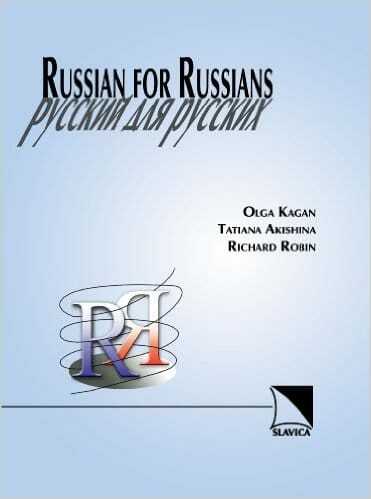 This is a standard intermediate-level text, full of conversational and grammatical exercises, readings and plenty of opportunities for you to practice and improve your Russian. As with most texts at this level, grammar is reviewed before it’s expanded to include new information. Thematic topics build upon those introduced in the beginning level. If you learned about the basics of the Russian family in first-year classes, for example, here you’ll learn about more nuanced topics like discussing getting married or divorced in Russian. A solid choice if you want a more formal text. This gem of a book is Russian-written and Russian-published. As such, it’s highly structured around purely grammatical exercises, the idea being that constant drilling is the key to mastery. The advantage of this text is that you can choose the grammatical case that’s causing you the most trouble and work with it in an exercise at your level of proficiency. It can also serve as a supplement to a fuller intermediate-level text. As the title indicates, this text is only about grammar. There’s no thematic component to accompany the grammar, so while you’ll rapidly increase your grammatical knowledge, it’s done in a topic-oriented vacuum. 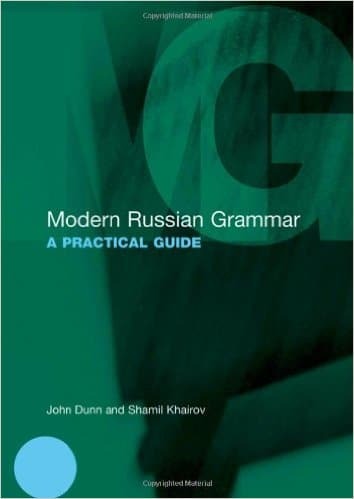 But if what you need is more practice with choosing the correct case, the correct aspect, the correct preposition or prefix—and, let’s be fair, what student of Russian doesn’t need this?—this is the book for you. It has an answer key, so it’s readily useful for the independent learner. Once you accept that Russian has cases and verbal aspect, they’re actually not that hard to learn. What’s challenging are Russian verbs of motion. While Russian has verbs similar to those in other languages (walk, ride, fly, swim, crawl, carry, transport, etc. ), the challenge is that they come in a variety of forms. Need to know when to use the unidirectional form? The multidirectional form? The perfective? How each prefix changes the meaning of the base verb, which to use when, and how even the most subtle of differences is truly different? 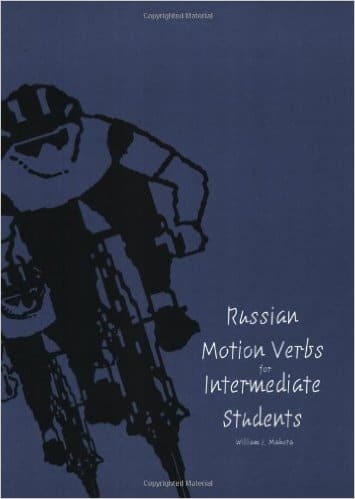 If you want to understand Russian verbs of motion—and you’ll need to if you want to truly master Russian—this is the book for you! There’s always new grammar to learn, new constructions to master and tons and tons of words to add to your active and passive vocabularies. By this level, content almost always leads grammar, thus allowing you to build your vocabulary and ability to converse on a wide variety of topics. At some point you’re going to get tired of grammar-heavy learning. You might even want to learn more about Russia in actual, authentic Russian. This text allows you to do just that! The 36 chapters take you from Kievan Rus to the post-Soviet period, and web-based activities allow you to practice your speaking and writing, namely in helping you to develop a well-reasoned argument in both skill areas. Learners of nearly all languages will spend a large amount of time at the intermediate level; getting beyond this level generally requires substantial time abroad, immersed in the language. This text is designed to help make that transition easier. Using themes similar to those used in beginning- and intermediate-level textbooks, this provides exercises that will push you beyond the intermediate level, generally by introducing “complications” to rules and known ideas, thus setting you up for success in making the jump to the advanced level. 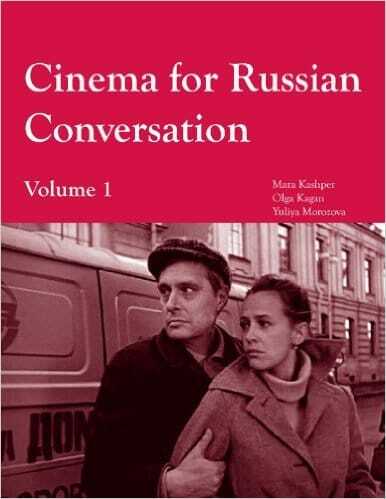 These books include materials that can be introduced at all learning levels, with the exception of the “Cinema for Russian Conversation” text, which is only appropriate at the intermediate level or above. These give you the flexibility to supplement your structured textbook with additional materials of interest, when needed or desired. Do you really want to read real Russian poetry, but are afraid that it will be too hard for you to understand? 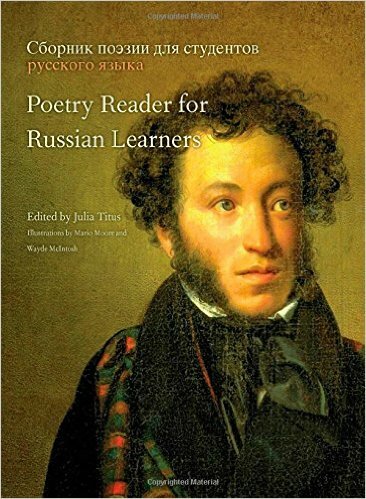 This book has selected some of the most famous Russian poems by some of the best-known Russian poets for you to use as early as the beginning level. Poems are heavily glossed, and sometimes entire lines or stanzas are highlighted and broken down so you can understand them pretty easily. After, a key root or grammatical point is indicated, and a few exercises follow to drill that point or show you how that root appears in other Russian words. 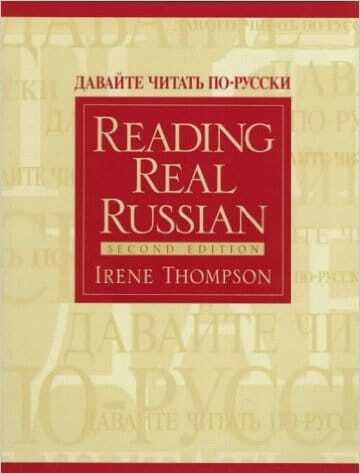 This text is great if you want to supplement your regular Russian textbook with real Russian literature. This text provides exactly what the title says it will: real Russian. 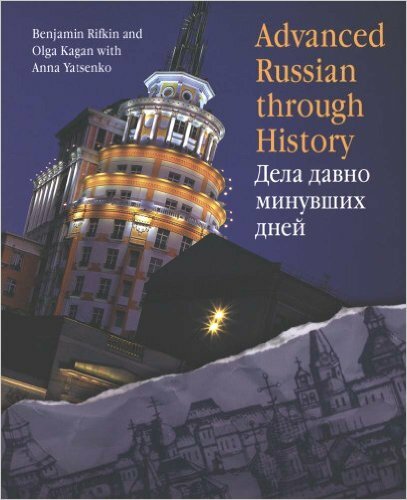 Divided into a number of thematic chapters, such as food, education, technology and travel, this text provides authentic Russian materials such as menus, train schedules, newspaper ads and so on, complete with pre-learning, learning and post-learning activities. This text is appropriate at all levels because, within each chapter, texts and exercises start with those appropriate for a beginning level learner and end with at least one designed for a more advanced learner. 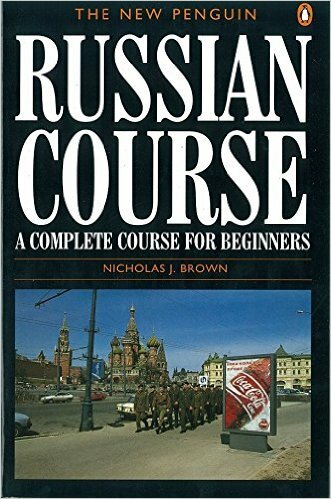 This text will last you for years, as you progress through the stages of learning Russian. This two-volume text is very similar to the Russian animation text mentioned above. The Soviet Union made some excellent films, with basic, everyday language that was spoken at a speed that can be readily understood. These texts provide written and spoken exercises, discussion questions and opportunities to write brief essays about the content of some of the most famous and most accessible of these films. Again, you’ll increase your Russian-language knowledge while you learn more details about Russian culture that every Russian will know. What about those of you who grew up speaking Russian at home, but never learned to read or write. You may not realize it, but you often speak an Anglicized version of Russian, letting your English language ability drive your Russian speaking for certain constructions and situations. Never fear: there’s a textbook for you as well! There’s not a lot of choice for books for this purpose. Fortunately, therefore, this one works very well. It starts by teaching the basics of spelling and punctuation, as do textbooks for non-heritage learners, but it supplements grammar explanations and basic grammar exercises with more advanced conversation topics. The goal of this book is to help you attain the same level of writing knowledge that you already have for speaking your native language, while fixing those mistakes that you still make in speaking. How Do You Choose the Best Russian Textbook for You? You already have an idea at which level you operate in Russian and/or if you’re a heritage learner or not. That will give you a place to start. You also know what your goals are in learning Russian, and, by skimming the tables of contents, you can get an idea of which textbook in that category will best meet your needs. You can often preview these pages on Amazon, or you can head to a local bookstore and do so in person. And now you know what supplemental materials are out there, so you can add to those to your textbook. What if you can’t decide? Then pick up two or three and use them all at once! With VitalSource, you even have the option of renting textbooks. Whether you rent or buy, you can access them on an e-reader or other electronic device—making all that information more manageable mentally and physically. Each book will teach you something different in a slightly different fashion, and together they will teach you Russian completely. Jonathan Ludwig has 25 years of foreign language teaching experience. He has successfully directed language programs, taught and mentored current and future teachers, and is always looking for new and exciting ways to engage and educate his students. Want to take your Russian beyond book learning and into the real world? Didn’t catch something? Go back and listen again. Missed a word? 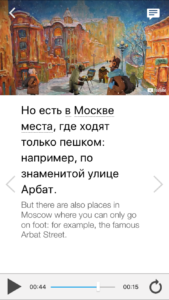 FluentU makes native Russian videos approachable through interactive captions. Tap or click on any word to see a definition, in-context usage examples, audio pronunciation, helpful images and more. 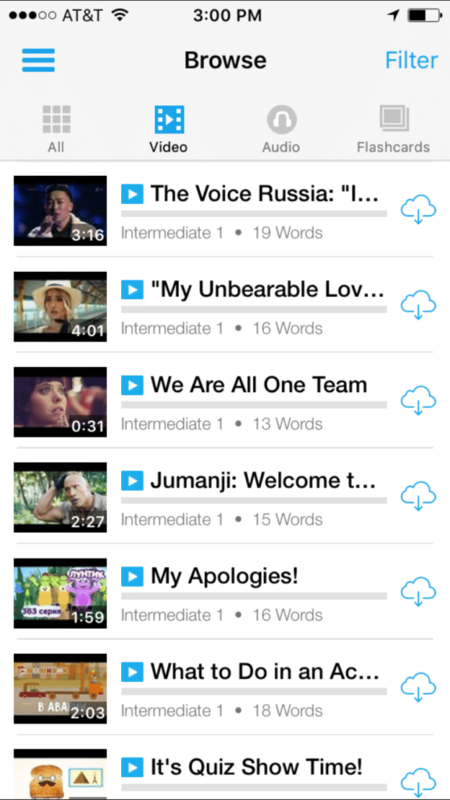 Access a complete interactive transcript of every video under the Dialogue tab. Easily review words and phrases with audio under Vocab. Don’t stop there, though. Use FluentU’s quizzes to actively practice all the vocabulary in any video. Swipe left or right to see more examples of the word you’re on. Start using FluentU on the website, or better yet, download the FluentU app from the iTunes or Google Play store. If you liked this post, something tells me that you'll love FluentU, the best way to learn Russian with real-world videos.